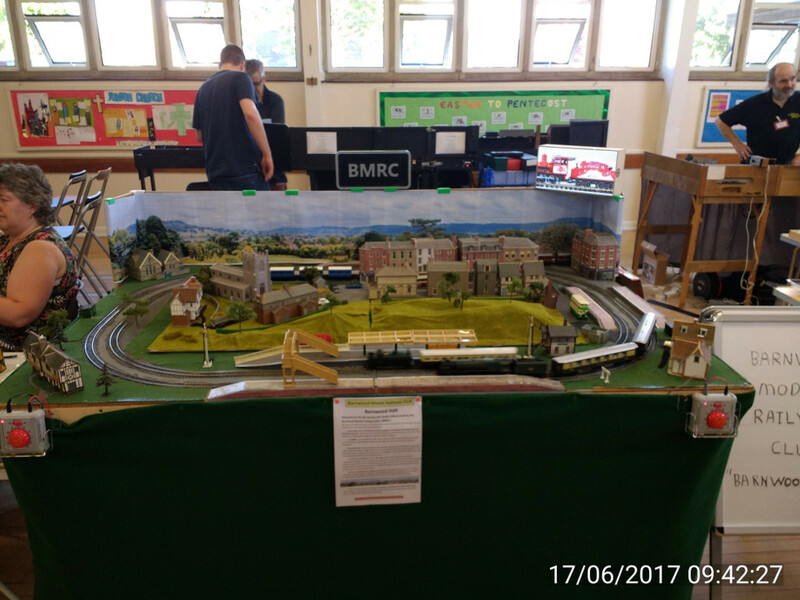 On Saturday 6th December Barnwood Model Railway Club exhibited the folding board at the school Fayre. 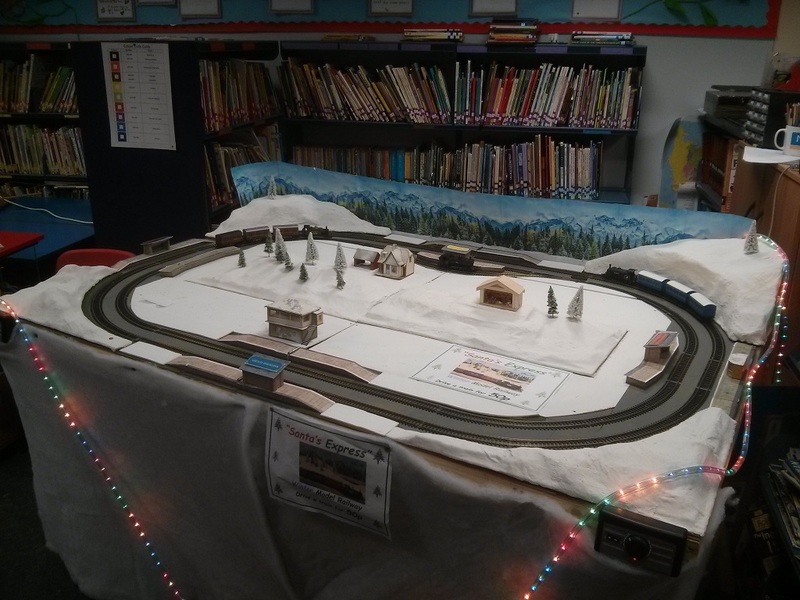 The board was configured in "Driver" mode and the children were able to control the speed of the trains for up to 3 minutes. A great time was had by all and the club raised almost £20 for the school. 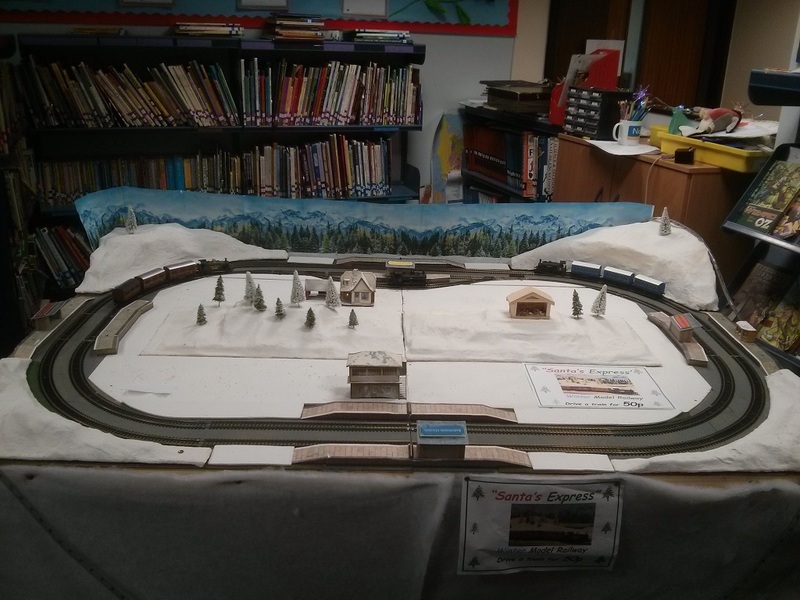 Pictures of the board setup are shown below and can also be found in the 2014 Gallary. 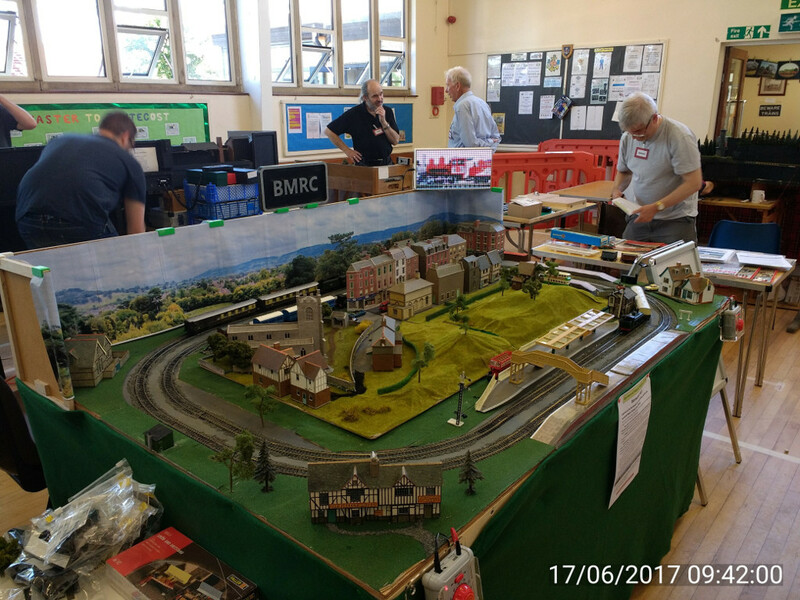 On Saturday 23nd November Barnwood Model Railway Club exhibited the folding board at the BB Fayre. 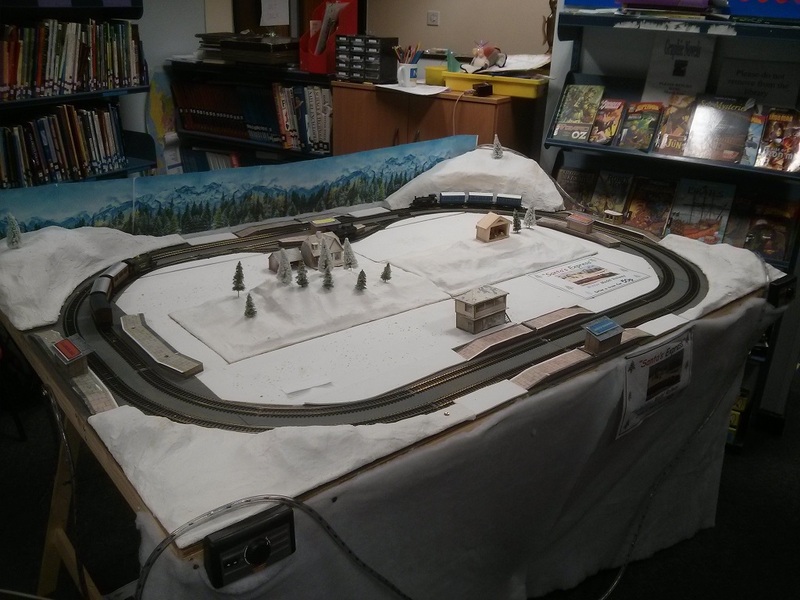 This was the second time the board was configured in "Driver" mode and the first time it was run with the new controllers. 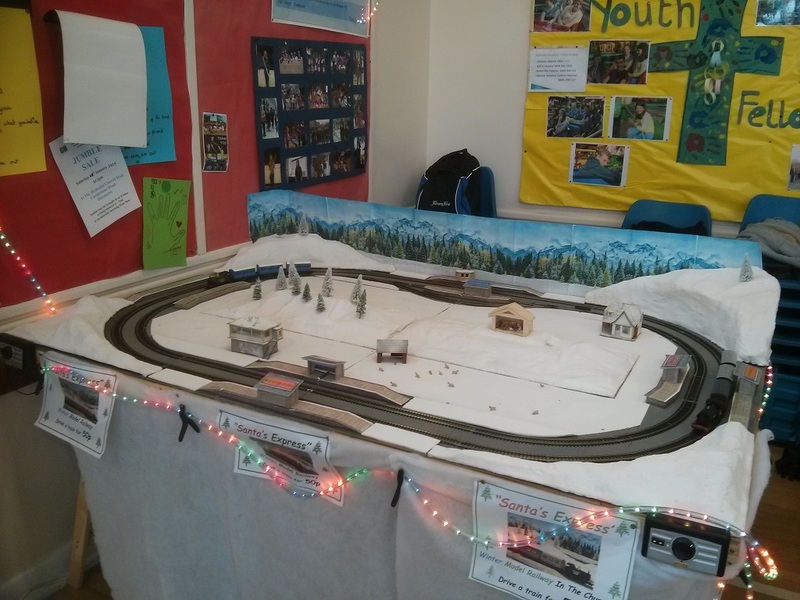 The children were able to control the speed of the trains for up to 3 minutes. A great time was had by all and the club raised almost £12 for the Boys Brigade. 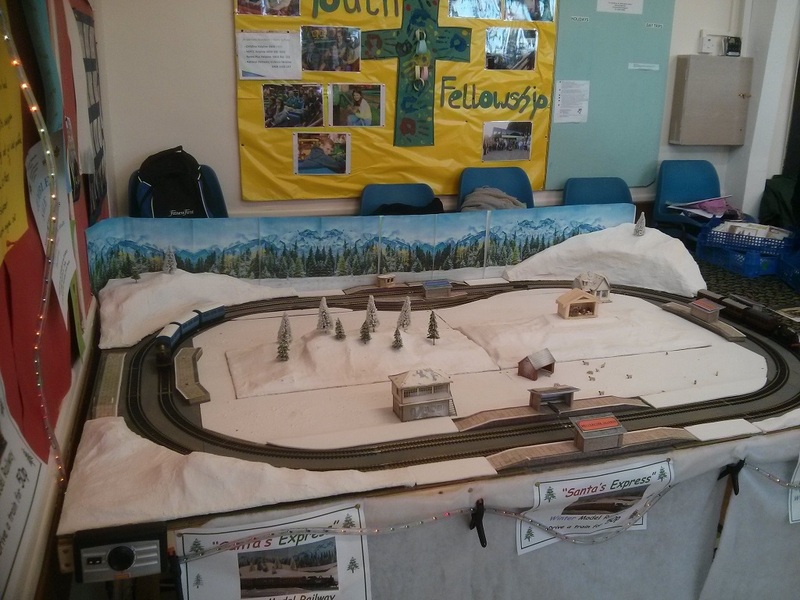 Pictures of the board setup are shown below and can also be found in the 2014 Gallery. Saw the start of the exhibition with the folding board being transported up the the Hucclecote Methadist church, two hours later with no injuries and only minor damage to the board we were ready to go. The board was tested and then shutdown for the night. Doors opened at 10am so work started early to ensure the board was ready, fortunately setting up on Friday Night meant that we just had to plug it back in, test and check we all had enough chairs, drinks and food for the day. 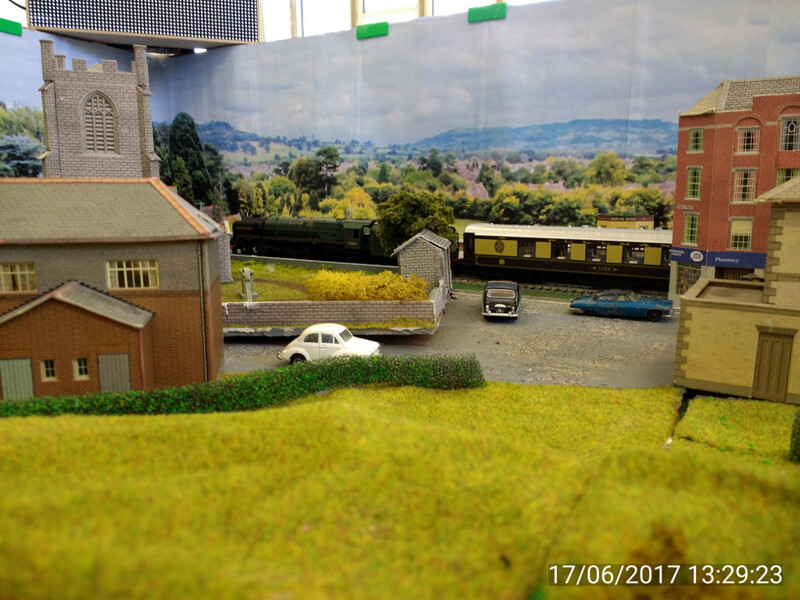 The Fayre was busy and we had many visitors to the stand both young and old, and many people seemed to be suprised that visitors could actually play with the trains. A good day was had by all and by 5pm everything was packed away and back in storage. Saw the start of our weekend. Six of our members came to the church centre in the afternoon to move all our boards from the cupboard upstairs so the cob webbs could be dusted off and the motor spun. By 9pm all boards were assembled and tested, everything was set for Saturday. With the boards all out the fun started at 9am sharp. We dispenses with our usual scones tradition and got straight down to running and building. By the end of the day we saw the wiring and points all completed on the extension board (testing is for another article). On the main board every possible combination of engine and carriage has been tried, even ones that smoked! By 4pm the group grew tired, so we wound things up for the day, at least the boards could be left out. The wiring on the extension board was tested and some faults with one of the single points were corrected. Then came the great packup. By working as a team, and splitting the group we managed to have everything back in the cupboard by 4:30pm just in time for tea!